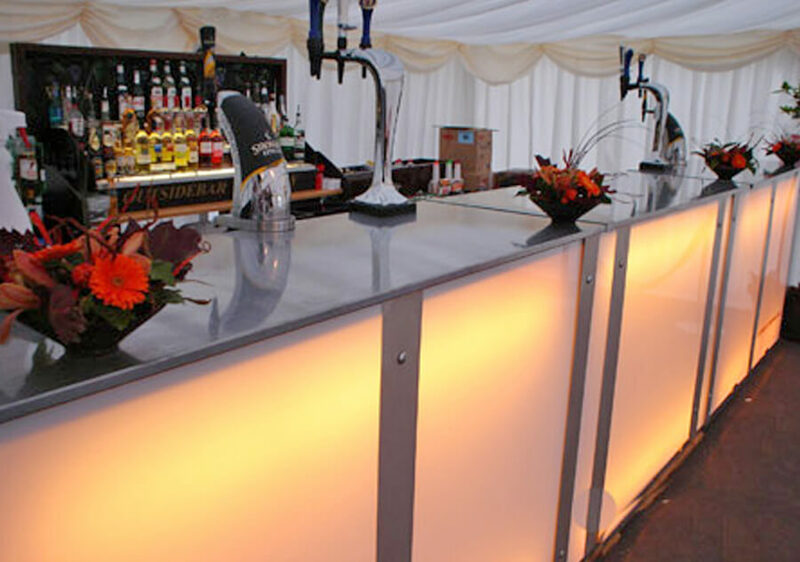 Need a Bar offers a professional, reliable and cost-effective mobile bar hire service in Suffolk. We’ve been providing mobile bars to Suffolk and the surrounding areas since 2009 and our team comes highly recommended by many happy customers in the county. Regardless of your occasion, we can install and manage a fully-stocked bar at a location of your choosing. We have a great deal of experience in running mobile bars at Suffolk weddings, birthday parties, corporate events, garden parties, pubs, beer festivals and virtually any kind of function. When you hire a mobile bar in Suffolk, you can expect to receive all of the bar equipment and accessories you need to deliver a top-notch bar experience to all of your guests, including top of the range dispensers, regulators, counters, pumps, glasses and bar runners. We stock a huge selection of drinks – guests can take their pick from a long list of beers, wines, ales, ciders, spirits and, of course, soft drinks. You can hire a single bar or counter if you wish – or, if you’re looking for a more comprehensive service, we are also able to provide skilled bar staff on request, who will be on hand throughout the day and/or evening to make sure the bar service runs smoothly and the drinks continue to flow. Call Need a Bar today to discuss your requirements. We’ll be more than happy to put together a bespoke quote for your bar hire in Suffolk. We offer a range of payment options to suit the nature of the event – in some cases, customers prefer to ask their guests to pay for drinks directly via a Pay Bar; in others, the organisers subsidise the drinks and guests pay a fixed amount. Our friendly team are available on 01621 778241, or you fill out the form and we’ll get back to you as soon as we can.